Birthdays are a great time because everybody wants to give you something. Businesses, especially those in the food industry are very happy to give you something to eat on your birthday. Free ice-cream scoop from Baskin Robbins. Join up to their Club31 online and receive special discount on a cake as well. A free juice through the Vibe Club online from Boost Juice . You will also receive other drink offers monthly and every 11th Boost drink is free. Apply for a frequent diner club card at Hoggs Breath Cafe and receive a voucher offering you a free steak meal. You can use the voucher during your birthday month if you wish. A free birthday muffin from Muffin Break through their Muffin Break Club. Pick up a card instore. You will also receive every 5th coffee free. 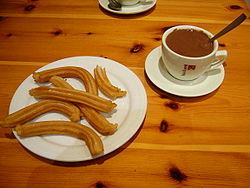 Free churros (a long donut with chocolate sauce) for two from San Churros Chocolate . Just sign up to receive their newsletter online. 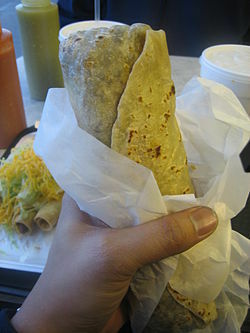 Free Mexican Burrito from Salsa Mexican restaurants by joining their Mex Club. Pick up a card instore and register online. You will also accumulate points from purchases made, towards future purchases. 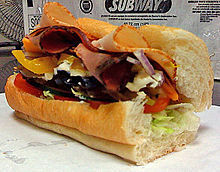 A free six inch Subway roll and drink through the Subway Eat Fresh by registering online at Subway. A free salad from Sumo Salad by collecting your Sumo Society Card and registering online. You will also receive other discounts throughout the year and earn points towards future purchases. These are national chains and are available in every state. Each state may also have boutique stores offering specials. Nandos (peri peri chicken) offers a birthday meal for one through their loyalty card. Pick up a card instore and register online. This is only available to WA residents. Enjoy a cake and glass of wine at Crown Atrium restaurants through the Crown Rewards Club card. You also receive 10% discount on food and accommodation at other times. This is only available to WA residents. So start collecting your loyalty cards now and registering online. Wait for your birthday to come around and enjoy a day of feasting "on the house". You won't need any bread to fill up. Do you know of any other free food offers around you?